St. Charles, MO (March 15, 2019) – The St. Louis Ambush (10-11) visit the Milwaukee Wave (16-3) at the UW-Milwaukee Panther Arena Sunday afternoon, March 17 at 1:05 p.m. CDT. The Wave have clinched the MASL South Central Division title, while the Ambush are battling with the Kansas City Comets and the Orlando SeaWolves for second place and the second playoff berth. The Ambush head into the weekend one half game behind the Comets. The Florida Tropics, while not yet eliminated from playoff contention, would have a difficult time securing a playoff berth with their 5-13 record. Forward Zach Reget leads the team in points (29), goals (20), points per game average (1.4) and is tied in game-winning goals (2). He leads all rookies in the MASL in goals scored. Reget has been named MASL Player of the Week once, named to the Sporturf Team of the Week twice and earned honorable mention four times. Zach is a candidate for Rookie of the Year. Reget has two goals and two assists in his last three games. Forward Justin Stinson is second on the team in points (28), goals (18) and is tied for second in points per game average (1.3). Another candidate for Rookie of the Year, Stinson leads all rookies, except teammate Zach Reget, in goals scored. Justin has one goal and one assist in his last three games. Midfielder Lucas Almeida leads the team in assists (18) and is third in points (26) and is tied for second in points per game average (1.3) and in game winning goals (2). Almeida has one goal and two assists in his last three games. Ian Bennett leads the team and ranks fourth in the league in points (42), leads the team and the league in goals (34), leads the team and is fifth in the league in average points per game (2.6), leads the team and is tied for third in the league in game-winning goals (4). A strong candidate for league MVP. Bennett has six goals and three assists in his last three games. Max Ferdinand leads the team and is tied for second in the league in assists (24), and is second on the team in points (36) and average points per game (2.1). He has five goals and four assists in his last three games. Robert Renaud is third on the team in points (22), assists (12), average points per game (1.6) and is tied for second on the team in game-winning goals (2). Renaud has one goal and one assist in his last three games played. After Sunday’s clash in Milwaukee, the Ambush visit Independence, Missouri to square off with the Kansas City Comets on March 23. The Ambush are also offering a special package for the visit to Kansas City where fans can see the game and get round trip bus transportation for only fifty dollars. Fans can register online now by clicking HERE or by calling the Ambush office at 636-477-6363. The Ambush return home for the regular season finale when the Wave invade the Family Arena Friday, March 29 at 7:35 p.m. CDT. The first 1,000 fans in attendance March 29 will receive Ambush Player Card Set 5. 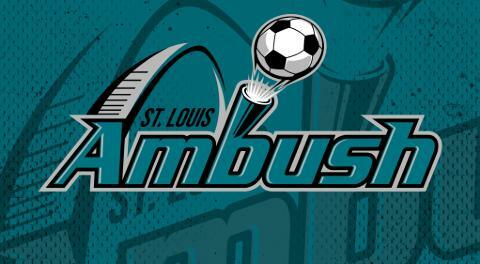 For fans unable to catch any game in person, all Ambush games are webcast live at masl.tv. Group and single game tickets are on sale for all Ambush home games. For more information, call the Ambush office at 636-477-6363. Keep up to date on all Ambush news by following the official website, stlambush.com and on Facebook and Twitter.